I May Have Found The Secret to Clear Skin! Helllooooo Blog. I have been away for quite a while. I've been so busy and when I'm not busy I'm tired and when I'm not tired, I go to the gym. Well over my little break, I found two new skincare products that I absolutely fell in love with! I just had to share it with whoever is reading this. Speaking of anybody reading this, thank you for doing so! For my gratis from Sephora, I got a couple of skincare products. 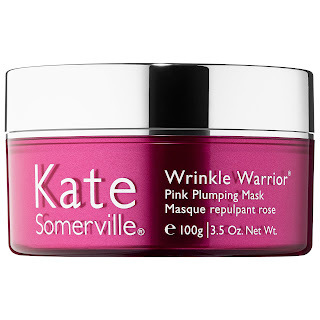 One of them was the Kate Somerville EradiKate Daily Cleanser and the other was the Kate Somerville Pink Plumping Mask. For myself, I saw instant results the next morning! WOW. I substituted these products in my regimen and it made such a noticeable change to me. 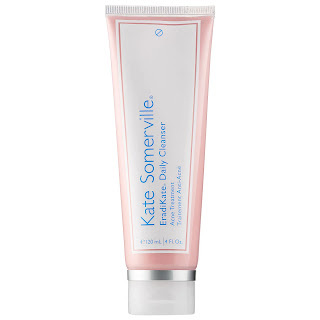 I have been loving Kate Somerville products lately! To go to the clinic would be a dream! It was the definition of luxurious. As I type, I am wearing the mask from this first product I will talk about. The Kate Sommerville Pink Plumping Mask. It looks so pretty when opening. Be careful though. I had to take off the barrier between the lid and product with a bit of effort that it popped off and a chunk of my product had spilt all over my sink. I put the mask on my face after cleansing. It says to apply with a clean, moist face so that is what I proceeded to do. When you look really close, you can see little specks of glitter glistening in the light. You leave it on for ten minutes and it feels great on the skin. It is good for all skin types. It contains hyaluronic acid to plump and hydrate the face. Besides plumping and hydrating, it smooth the skin and also minimizes the appearance of fine lines and wrinkles leaving you with younger looking skin. The next product I will talk about is something that I felt like HAS to stay in my skincare routine. This amazing product is called the Eradikate Daily Cleanser Acne Treatment. I do not have severe acne but since I do wear makeup a lot, this is a good cleanser to prevent acne and keep your face clear. I'm sure it does wonders if you do have major problems with acne. It has a weird sort of smell to it but its not unbearable. People with dry skin want to stay away from this. This product is good for oily, normal, and combination skin. It is a solution for acne, oiliness, and pores. After using both of these products one night, I woke up with different skin. I woke up looking at myself with major confidence. My skin was clear, smooth, and definitely looked younger looking and bright to me. Remember, everyone's skin is different. I highly recommend you try these two products out. You can find both of these products at your local Sephora. I have been LOVING Kate Somerville products lately by the way! 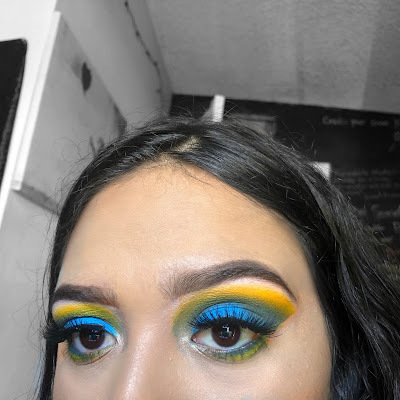 Thank you guys for reading this short post, I just thought I'd share these two amazing skincare items with all of you! If you have any more questions just send me a message and I'll catch you guys in the next post! I love a good face-mask, do Boots stock this range at all? Subscribe to our mailing list so you'll never miss another post!